A few years ago now the other half and I decided to have a little summer house built in the garden. Our garden is on 2 levels so we thought putting a summer house of some sort in would make better use of the space. It was either that or try and level out the whole garden which I'm not sure would have worked. We'd never done anything like this before and didn't realise the amount of time and effort you need to put in when building from scratch! I've seen a lot of people start to build their own summer houses recently so I thought I'd write this post to help those embarking on their own summer house project. 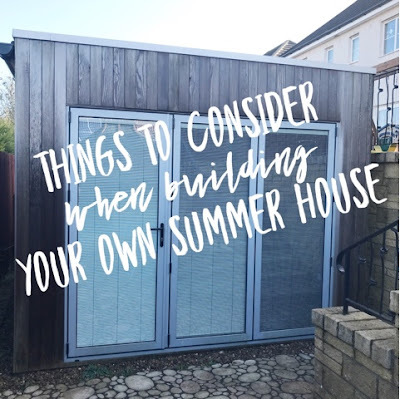 We've seen plenty of ideas from a landscaping company we know in Edinburgh so read on for my tips on things to consider when building your own summer house. You guessed it. Which way will your summer house be facing? Depending on your garden and the size you'll need to consider what way your summer house will face. We get the sun at the bottom of our garden in the afternoon and evenings (when the sun is setting) so it didn't matter too much where we placed ours. We've also got stairs going down to the bottom level where our summer house is so there was only one way it could face. If you have more options than us (hopefully) then choose wisely. What will your summer house be built from? Will you go for a weathering timber such as cedar or maybe something cheaper that you can paint and weather seal? We personally went for cedar, yes it's more expensive than some other timbers however we haven't had to do a thing to it and it's still going strong 6 years on. What style of door(s) will you choose to have on your summer house. Some people quite like the double patio door style while others prefer bifold doors. We actually have a lovely set of bifold doors on our summer house and they're fabulous for opening right up in the heat of summer. 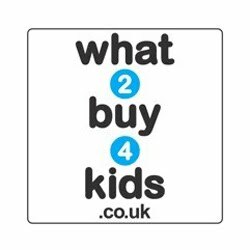 Getting a price couldn't be easier either with a bifold door quote so definitely have a think about it. You'll also need to think about why you're building this summer house. Is it going to be a garden room to chill in, an office/work space, a chill out zone for the kids and their friends, your own pub or perhaps a gym or even a beauty therapy business? Ours was a chill out zone but is now a gym which is quite handy although I haven't used it for a while, whoops. Depending on your choice of usage you'll need to consider how you're going to decorate the interior. I went for a forest feature wall at the back using wallpaper and the rest of the walls are skimmed and painted so it looks like any room in a house. My parents have a summer house and they've left the wood exposed in theirs so it looks like a log cabin. It's really nice and quite an effective look I think. You'll also need to think about the type of furniture you'll have. Will it be modern, hand made, all wood etc. 0 comments on "Things to Consider When Building Your Own Summer House"